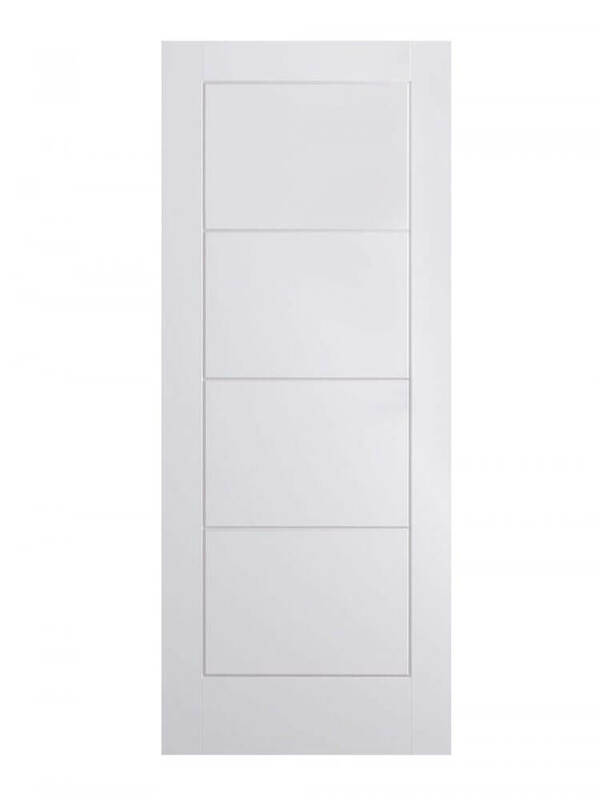 White Moulded Ladder FD30 Fire Door. Four, flush panels. ‘v’ groove design with a solid border. White Moulded Ladder FD30 Fire Door. A ladder design. Four horizontal panels framed in a solid border. ‘v’ groove detailing on a smooth surface makes this a perfect choice for enhancing your interiors in a cost effective way. No compromise on style or quality.